Learn various techniques and uses of machine embroidery from methods in fine art and uses in everyday life. We’ll work with water soluble fabrics, printing, quilting and more to understand the different results. By the end of the course, we’ll be utilizing the techniques learned over the past weeks to create our own objects with the technique or techniques we enjoyed the most! Juliana Scherzer – is a textile artist working out of Toronto, Canada with a Bachelor of Craft and Design, focused in Textiles from Sheridan College. 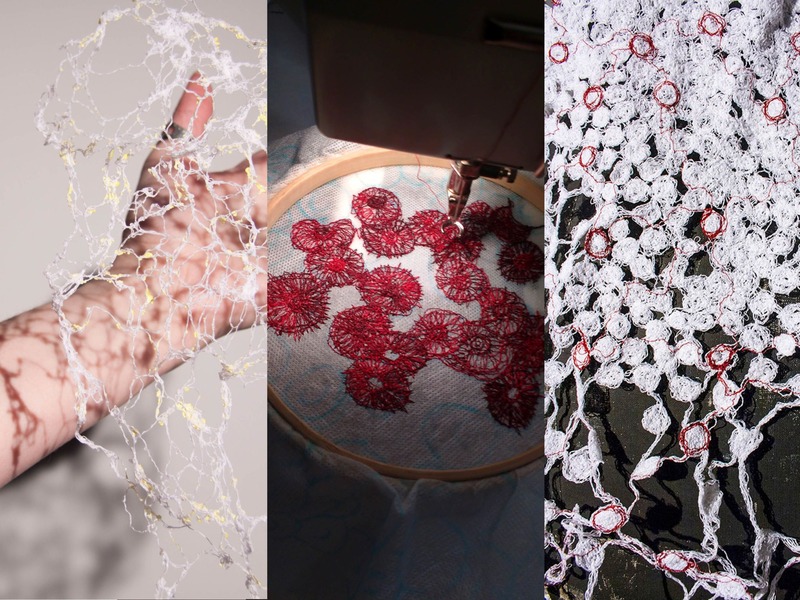 Juliana works primarily in free-motion embroidery on water soluble fabric, creating 3D structures out of thread. Her work seeks to reflect the duality of the known and unknown places of textiles in our lives, a concept she seeks to explore through various themes, particularly within biology. Juliana has worked with children teaching them about art for three years and wants to go forward teaching people the value of art and craft in our lives, through sharing her knowledge and learning from others. For more information on this program or to register, email tammy@capebretoncraft.com or phone 902.539.7491 ext 111.